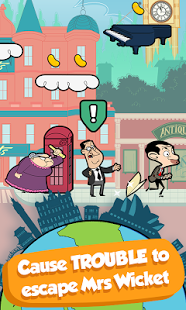 FLEE MRS WICKET â€“ Grab your suitcase and donâ€™t forget Teddy; itâ€™s time to run around the world! 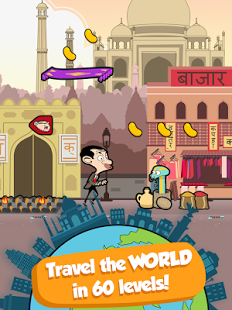 TRAVEL THE WORLD â€“ Visit India, Mexico, the USA and more! 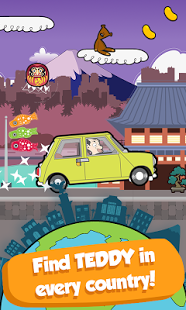 Play through 10 checkpoints in 6 different countries! 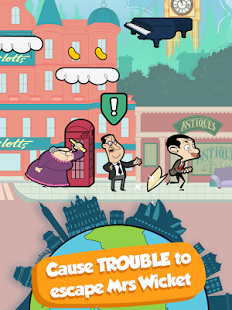 CAUSE TROUBLE â€“ Run, jump, and collect Gold Beans to advance! Cause trouble to slow Mrs Wicket down, or jump in your car to boost ahead! 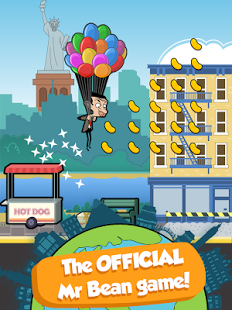 FIND TEDDY â€“ Mr Bean has lost Teddy on his travels! 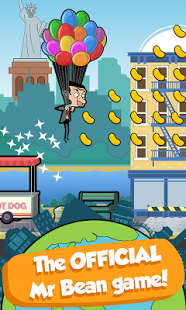 Can you find him in every single country? 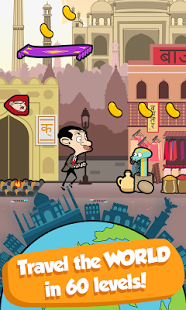 Itâ€™s Mr Bean â€“ Around the World, the official Mr Bean app! 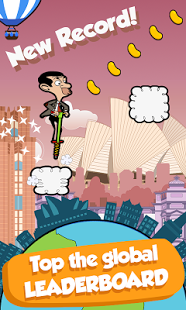 Mr Beanâ„¢ and Â© Tiger Aspect Productions Ltd 2015. All rights reserved.